“Our legacy? I suppose maybe we should have given Factory Records a Fast catalogue number….”.A full year before A Factory Sample, and two before Postcard Records set itself up as the self-proclaimed Sound Of Young Scotland, Edinburgh’s Fast Product had raced through a release schedule of early or debut releases from The Human League, Gang of Four, Dead Kennedys, The Mekons and Joy Division. Firing out twelve seven inches of self-described ‘Mutant Pop’ in shiny designer sleeves before being abruptly disbanded because the co-founder thought he could turn The Human League into actual actual pop stars, Fast Product set the pace for the kinds of auteur-egomaniac led indie label profiled in Richard King’s ‘How Soon Is Now’. Big Gold Dream is the story of Fast Product. 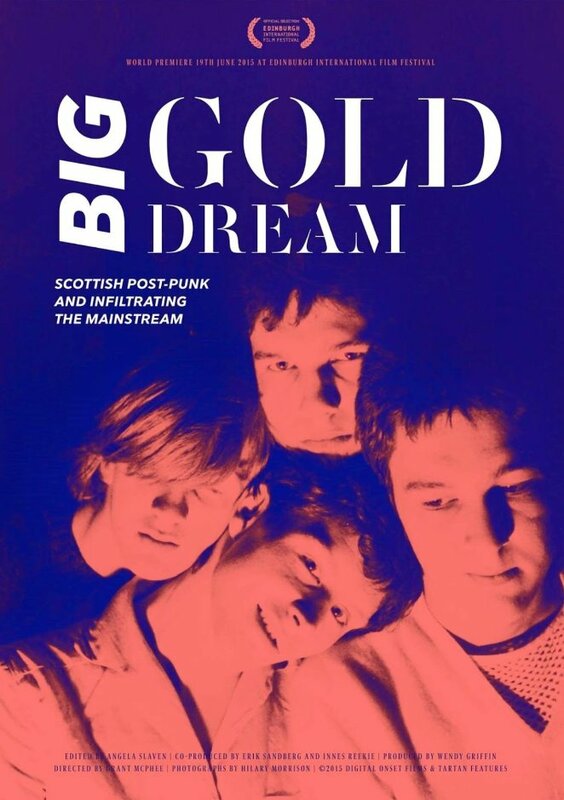 It’s also the follow on story of how Fast kick-started a music scene in Scotland that perennially throws up pieces of mutant pop magic: from Josef K, The Fire Engines and Orange Juice down to current sounds of young Scotland like Happy Meals, Sacred Paws, Golden Teacher and Spinning Coin. I’d heard about this film a long time before seeing. It’s co-produced by a mate’s brother, a fan who probably wasn’t born when Fast set forth. And it’s exactly that – a fan’s eye view of DIY pop magic, recounted verbatim by those who were there with a mixture of bewilderment, pride and laughs. It gets its TV debut on BBC 2 Scotland this coming Saturday night. If you’re staying in, flip up through the channels and find it. If not, then buy the DVD. You won’t regret it, honest. Note – You can watch the film on the iPlayer currently for the next 25 days.